My children love keeping in touch with their friends and family members, especially after moving several times in the past two years. While my older children easily keep in touch with all their loved ones through email and text, my 6-year-old often feels very left out. She also misses her friends and family, but she can’t read or type an email. Sweet Peyton often asks how much longer it will be before she is able to really read and type. It’s hard to be on the edge of knowledge! She’ll be there one day soon, but she’d like it to be today- or better yet, yesterday! This month we found the perfect solution for Peyton- CloudPets™. 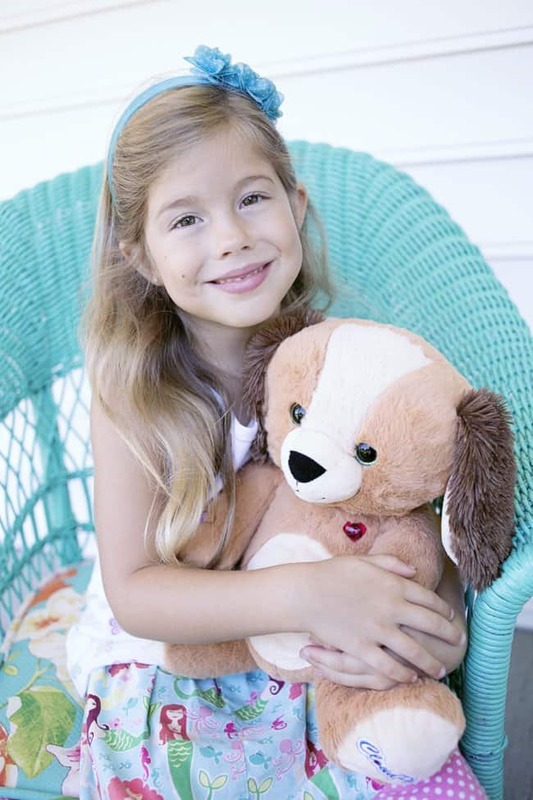 This adorable stuffed animal allows Peyton to send and receive voice messages to her loved ones! Check out how it works here. No more waiting until she can type and read! She is so happy to be able to send and receive her own messages like her big siblings- but thanks to the parental controls, messages only come from people I invite and approve!. After learning about CloudPets™, Peyton chose a puppy, which she named Pepper. 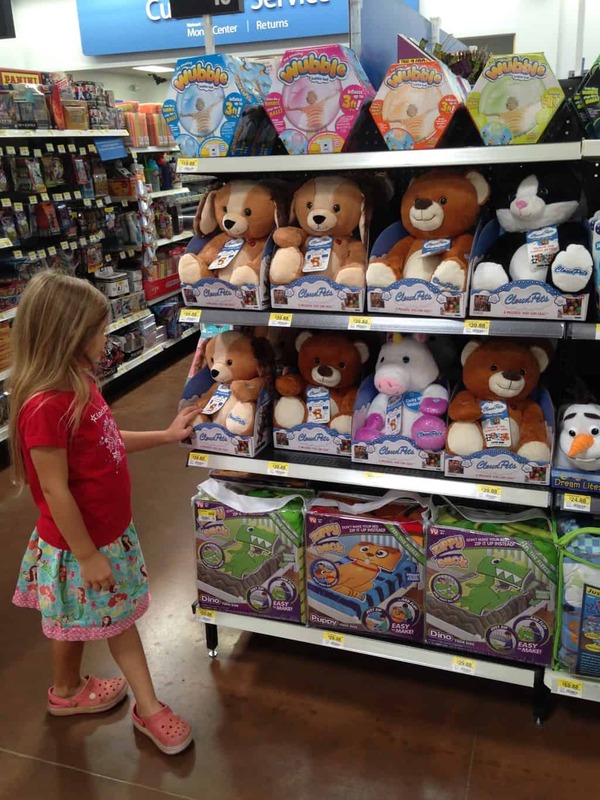 CloudPets™ at Walmart- find them on display near the front of the store. And don’t forget to grab three AA batteries too! Pepper is Peyton’s favorite stuffed animal. And if you know Peyton and her zillion stuffed toys and dolls, you know that’s a big deal! Pepper goes everywhere with Peyton, so she can hear a new message and reply immediately when one arrives. Many afternoons she talks with her Grandfather about her school day. And most nights she receives good-night messages from Grandparents, her Dad, or even her siblings as I tuck her into bed. Plus, Pepper sings her a lullaby every night as she falls asleep. 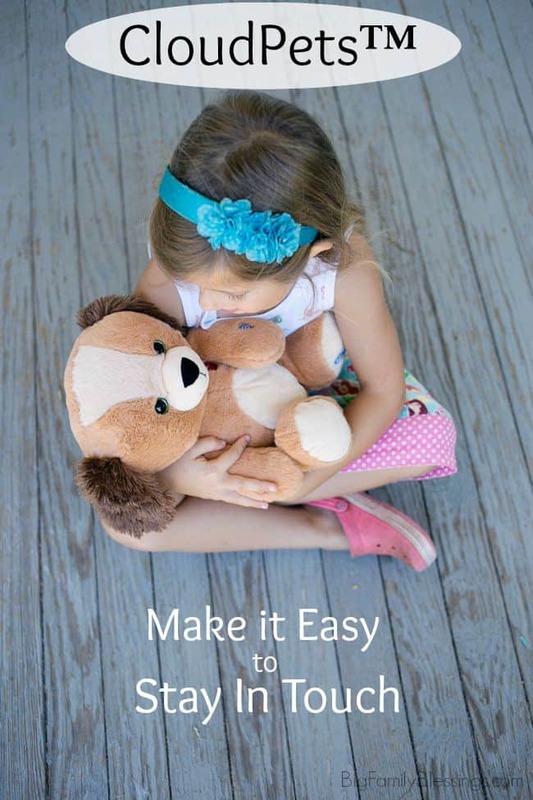 CloudPets™ are the coolest toy to help non-readers stay in touch with their loved ones. Which CloudPets™ will your child choose? I just saw the commercial for these! AWESOME!! I want to send one of these to each of my grand babies that live out of town for Christmas. What a sweet gift idea. These are soo cute and what a wonderful way to be able to keep in touch with family and friends too. Technology is so cool. I love that family and friends can send messages. This is something every little one would love.